The root tuber of perennial herbaceous plant Curcuma wenyujin Y. H. Chen et C. Ling, longa L. or C. kwangsiensis S. G. Lee et C. F. Liang, or C. phaeocaulis Val. of family Zingiberaceae. The former two are conventionally called Wen Yu Jin and Huang Si Yu Jin respectively, others called Gui Yu Jin and Lv Si Yu Jin. Zhejiang, Sichuan, Guangxi provinces in China. Collected in winter when stem and leaf withered. Wen Yu Jin has light fragrance and light bitter taste, Huang Si Yu Jin is fragrant and acrid and spicy, Gui Yu Jin has light smell and light acrid and bitter taste, Lv Si Yu Jin has light smell and taste. Firm, thin wrinkled of peel with yellow cross section, and Huang Si Yu Jin is thought having best quality by experience. Sliced, smashed, unprocessed or processed with vinegar. Pungent, bitter, cold; liver, gallbladder and heart meridians entered. Activate blood and alleviate pain, move qi and relieve depression, clear heat and cool blood, promote excretion or bile and remove jaundice. This herb can both activate blood and dispel stasis to alleviate pain and soothe liver and move qi to relieve depression. It is indicated for chest and hypochondria pain due to qi stagnation and blood stasis, chest and heart emergent pain, unbearable restlessness and upset and sudden severe pain of epigastrium and abdomen. This herb can regulate and unblock qi and blood for regulating menstruation and alleviating pain, and dispel stasis, purge and descend to treat irregular menstruation caused by qi stagnation and blood stasis, dysmenorrheal and amenorrhea, postpartum abdominal pain and syncope due to blood deficiency and so on. It is mostly suitable for syndrome of blood stasis and qi stagnation with stagnated heat because of its cold and cool nature. It is usually combined with qi-moving analgesics. For instance it is combined with Mu Xiang in Dian Dao Mu Jin San from Yi Zong Jin Jian. For dysmenorrhea and breast distention caused by liver depression with heat, and qi stagnation and blood stasis, it is commonly combined with liver-soothing, qi-regulating and blood activating herbs such as Chai Hu, Xiang Fu, and Dang Gui, etc. For chest and hypochodria injuries, chest oppression and pain, it is combined with blood-activating analgesics and trauma-curing herbs such as Hong Hua and Su Mu, etc. For mass It is combined with hardness-softening and nodulation-dissipating herbs and mass-dissolving and stasis-resolving herbs such as Bie Jia, San Leng, E Zhu and Qing Pi, etc. 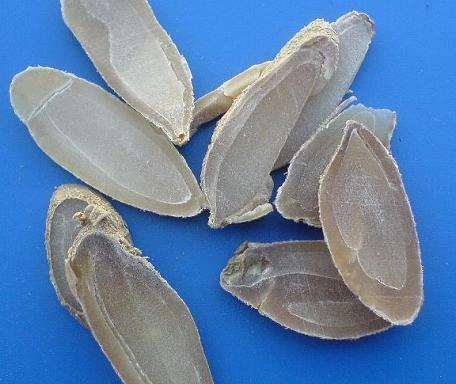 This herb can cool blood and clear heart, and is indicated for damp turbidity blocking heart orifice in damp-warm disease, unconsciousness, stuffiness and oppression of chest and epigastrium, mania and phlegm-fire blocking heart in epilepsy. It is usually combined with heart-clearing and phlegm-resolving herbsm, and resuscitative herbs. For instance, for damp turbidity blocking heart orifice in damp-warm disease, unconsciousness and stuffiness and oppression of chest and epigastrium, it is combined with Zhi Zi, Zhu Li and Shi Chang Pu, etc. in Chang Pu Yu Jin Tang from Wen Bing Quan Shu. For epilepsy and mania due to qi stagnation and phlegm obstruction, and blockage of heart orifice, it is combined with Bai Fan, to clear heart, resuscitate, eliminate phlegm and refresh the mind in Bai Jin Wan from She Sheng Zong Miao Fang. This herb enters heart and liver-blood systems. It is cold in nature with action of cooling blood. It is also bitter and pungent in flavor with actions of descending and purging to smooth qi flow. Therefore it can clear heat, cool blood and stop bleeding by descending the adverse qi flow, and is indicated for bleeding due to up flow of qi and fire such as haematemesis, epistaxis and women vicarious menstruation. It is usually combined with blood-cooling hemostatics such as Sheng Di, Dan Pi, Xiao Ji and Huang Qin, etc. For hematuria and blood stranguria, it is combined with blood-cooling hemostatics and diuresis-inducing herbs such as Xiao Ji, Bai Mao Gen and Shi Wei, etc. This herb is bitter and cold with actions of purging and descending. It enters liver and gallbladder meridians with the actions of soothing liver, promoting bile excretion, relieving jaundice and expelling stones. For damp-heat jaundice, it is combined with heat-clearing, damp-removing and jaundice-relieving herbs such as Yin Chen, Zhi Zi, Jin Qian Cao and Huang Bai, etc. For gallbladder stones fried by damp-heat, it is combined with Jin Qian Cao and Ji Nei Jin to promote bile excretion and expel stones. Decoct 5~12 g. Take powder 2~5 g.
Use with cautions for pregnant women because this herb can activate blood and resolve stasis leading to uterine excitation. Do not combine with Ding Xiang.